Milchram, C., Van der Kaa, G., Hillerbrand, R., Doorn, N., Künneke, R. (2018). ‘Energy justice and smart grid systems: Values in public debates in the UK and the Netherlands’. Applied Energy. 229 (November): 1244-1259. DOI: 10.1016/j.apenergy.2018.08.053. Howell, R., C. van Beers, N. Doorn (2018). ‘Value capture and value creation: The role of information technology in business models for frugal innovations in Africa’, Technological Forecasting and Social Change. 131: 227-239. DOI: 10.1016/j.techfore.2017.09.030. Doorn, N. and B. Taebi (2018). ‘Rawls’s Wide Reflective Equilibrium as a method for engaged interdisciplinary collaboration: Potentials and limitations for the context of technological risks’, Science, Technology & Human Values. 43(3): 487 – 517. DOI: 10.1177/0162243917723153. 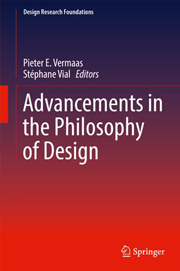 Wiegmann, Paul M., Henk J. de Vries & Knut Blind (2017). Multi-Mode Standardisation: A Critical Review and a Research Agenda. Research Policy, 46, 8, 1370-1386. https://doi.org/10.1016/j.respol.2017.06.002. Blank, J. L. T., & Van Heezik, A. A. S. (2018). 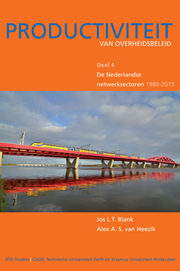 Productiviteit van overheidsbeleid, deel IV: De Nederlandse netwerksectoren, 1980-2015. Den Haag/Delft: Eburon.